Hosted VoIP is another term for Hosted PBX. Simply put, the telephones used are in your office, but the telephone system equipment, or the PBX, is “Hosted” at an off-site location. This location is typically at the VoIP provider’s data center. So how does my phone connect to the Hosted System? The telephones used in a Hosted VoIP system connect to the PBX equipment through your data network and the internet. Unlike traditional telephone systems that use a copper wire to connect directly from your telephone to the telephone system in your back room, VoIP phones used a data path to create a “virtual wire” from your phone to the Hosted system. What advantage does this provide? Because the phones use the data network to create the “virtual wire”, a phone or phones can be installed anywhere there is a connection to the internet. Many of today’s business models demand that the boundaries of the four walls be broken. Some businesses have multiple locations while others employ telecommuters. Some have outside sales reps in all corners of the nation. And sometimes the boss just wants to be able to work at home while still being connected. A Hosted VoIP Solution provides a seamless platform to effectively keep their teams connected and maintain maximum efficiency. 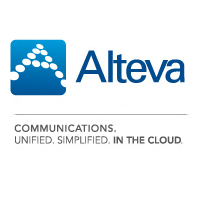 At CPS we have partnered with Alteva, the premier Hosted Solutions Provider. Together we provide our customers with exceptional voice quality and the flexibility to run their businesses at peak performance. Contact us today to see if a Hosted Solution is the right fit for your business.